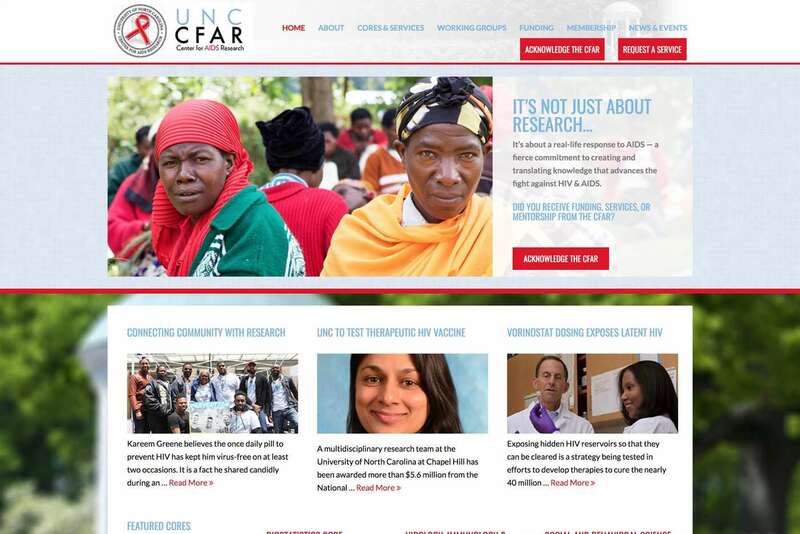 UNC Center for AIDS Research | AndiSites Inc. The UNC CFAR provides incentive for cross fertilization within one of the largest groups of scientists in the country, one that covers the entire spectrum of HIV/AIDS-related research. 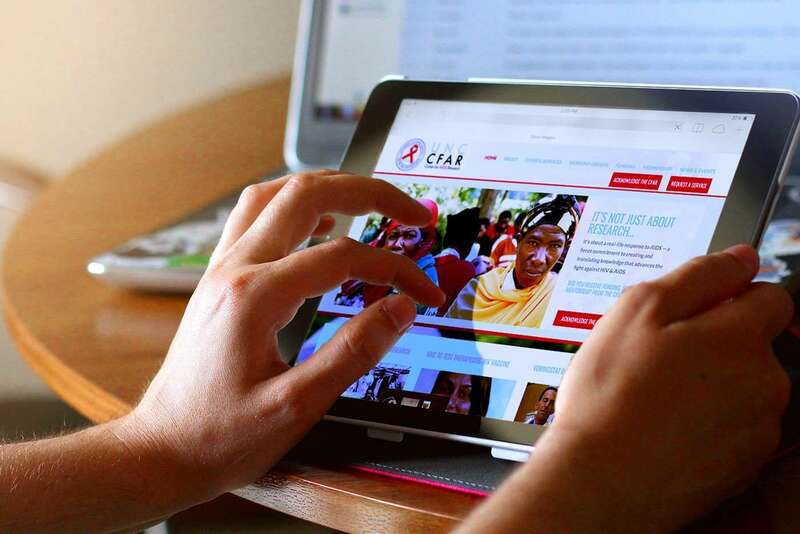 The current UNC CFAR membership includes over 200 active researchers and over three times that many researchers receive news of CFAR events, programs and HIV/AIDS-related funding opportunities. 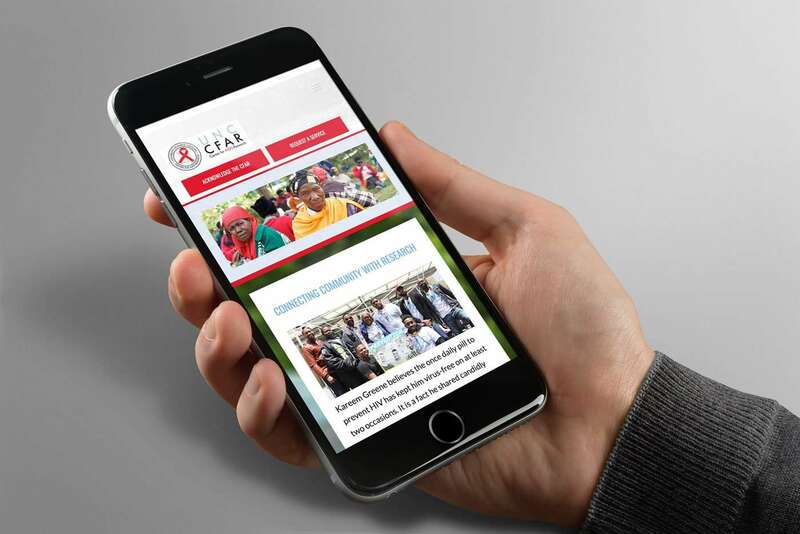 This mobile-responsive website includes an online Service Request System that allows registered users to request services from the CFAR, which can be tracked throughout their lifecycle and then reported in a predetermined format to the National Institutes of Health at the end of each year.